Raising great kids means setting limits and holding your ground. Learn the importance of teaching children boundaries —and why kids actually want them. It’s always the little things. Wanting the white cup instead of the orange. Putting their feet on the dining table when we’ve told him not to. The arguments at bed time because they don’t want to brush their teeth. At first it seems easier to accommodate their requests. What’s one more story to read at bedtime? And that extra toy they asked for at the store seems educational enough. But those lead to bigger problems, like talking back and outright disobeying on purpose. We’re then too tired to discipline or deal with yet another outburst. So we consent. No wonder we sometimes feel like kids are running wild. Thing is, I’ve learned kids need freedom and boundaries. Imagine a fence you’ve put up around a farm to contain the animals. Without fences, the animals run wild and stray too far. It’s harder to rein them in, and they don’t follow order. But fenced too close and the animals don’t have space. They’re unhappy, constricted. The key is to find that balance between freedom and boundaries. Neither extreme is pleasant for anyone. Don’t think of boundaries as being mean or saying “no” all the time. Why? Kids want boundaries. Yup, even if they’re throwing a fit or begging us for something, they feel better when we impose restrictions. Because that tantrum they just had? It scares them to feel that way. And when we back down and don’t hold our ground, then that tantrum seems even scarier than ever. After all, if even their parents can’t stand up against a tantrum, then who will? Boundaries guide kids as they evaluate whether something is okay or not. Freedom allows them to develop and grow, but boundaries give them the safe space to do so. 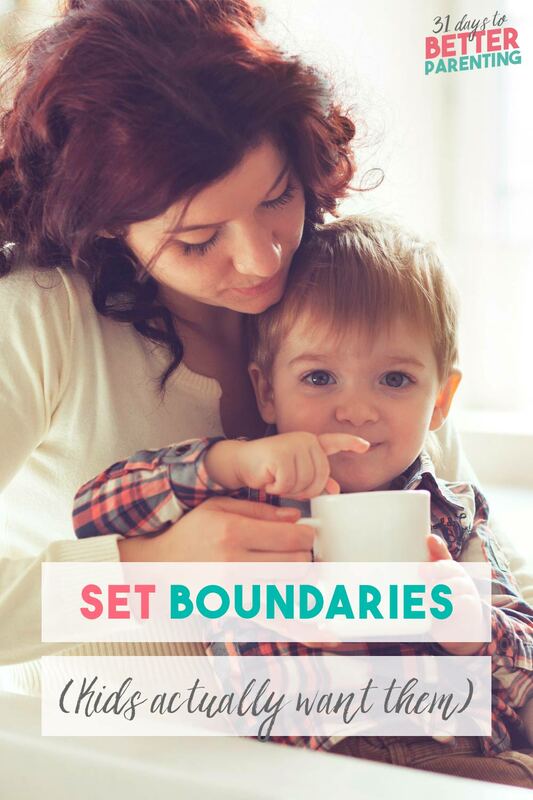 Boundaries also strengthen our relationship with our kids. We firmly but kindly let them know their limits. They learn valuable skills like patience, empathy and being responsible. And they understand that the most meaningful relationships are set on a two-way street. For many of us, establishing boundaries will be hard. We don’t like being the “bad guy.” And at the end of a tiring day, sometimes we just don’t have the patience to be present and calm. It seems much easier to give in. Hang in there. You can still set boundaries with your kids, even when it’s hard at first. Your child not only needs boundaries, but wants them to better direct his decisions. Think about the last time you’ve had to tell your child “no.” What was your mood, your environment? Were you frustrated because he interrupted an important task you were doing? Or were you intentional about your decision and calm in the way you said it? Setting boundaries isn’t a parent’s “privilege.” It’s not what we do to show who’s boss, or to win an argument. We can’t use the boundaries card each time we want to end a frustrating interaction with our kids. Be mindful of why you’re setting boundaries. What are your goals? 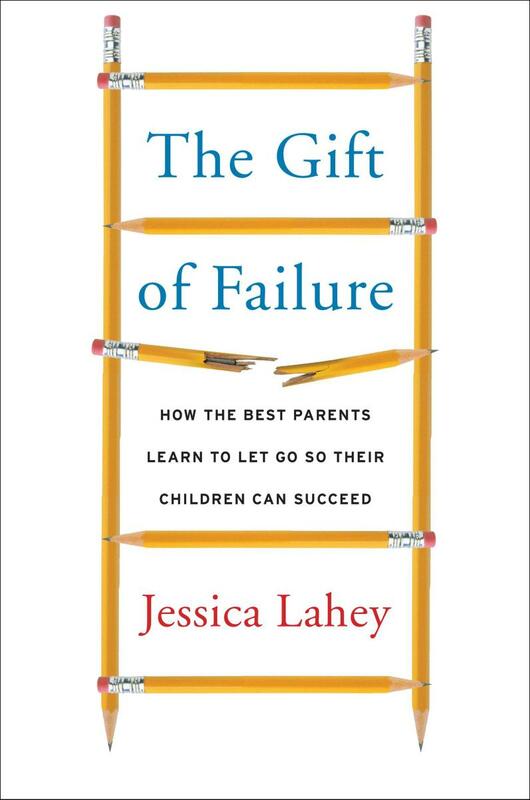 Base your decisions on what your child can learn from the situation and about himself. Or base it on your own limits and how you want others to treat you. Don’t use boundaries as a tool in power struggles. It’s this misuse that makes kids misunderstand and resent them. 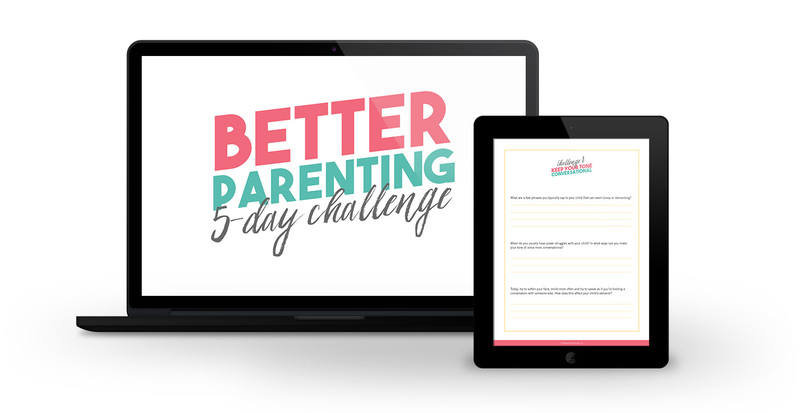 Discover how setting parenting goals makes you a better parent. Set boundaries in a firm and kind tone. This is that balance between blind strictness and sugarcoating. Understanding why you’re setting boundaries helps you find this balance. You’re not coming from an angry place, but you also know the importance of boundaries and that you hold your ground. Kids deserve our respect and kindness, even when the conversation isn’t pleasant or when we see them crumble in tears or irritate us with even more pleading. At the same time, be firm in your decisions. You know why you made them and the boundaries you’ve set. Being firm shows your child you’re acting from a place of good intention and are doing what you think is best for him. Read the importance of respecting our kids. Kids deserve our respect and kindness, even when the conversation isn’t pleasant. Kids respond well to reason and fairness, and one of the best ways to meet them halfway is by giving a time frame. My son asked to read a book with me. Normally, I drop whatever I’m doing to read a book as a way to encourage a love of reading and learning, but I was in the middle of cooking. And it was a meal I couldn’t pop in the oven or simmer on the stove top. I explained why I couldn’t read at the moment, then, I gave a time frame. I said that in about five minutes, after I get all the patties flipped, we could read the book. I also asked him if he wanted to read next to me while I cooked. This helped cement the idea that I wasn’t saying “no” just because, but that I had a good reason. Another way giving a reason helps set boundaries is you’re able to explain poor behavior. Let’s say your child has said hurtful words to you. Establish your own boundaries by saying how his words hurt your feelings. Explain how you expect him to treat you, and how he can better express himself. A bit of preparation can save you so much frustration when you set boundaries. Back to our analogy of boundaries as fences: Think of ways you can erect those fences even before your kids need them. For instance, baby proof your home. Instead of telling your now mobile infant not to touch this or that, make the room safe for him. Prevent common dangers by baby proofing, then allow him to explore within those confines. The same goes with the choices your child can make. He can wear any clothes from a certain drawer, one you stocked with summer attire. You’re giving him the freedom to decide what to wear, but within the boundaries that they have to be summer clothes. 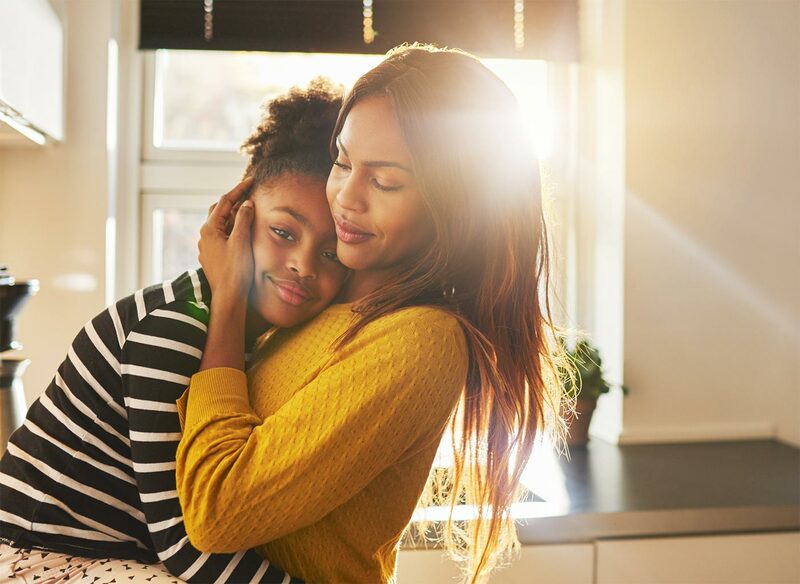 As difficult as it is to set boundaries, it’s also okay to say “no.” We don’t need to please our kids or even make them happy. These “fences” are just what our kids need to explore, learn and grow in a safe and wholesome way. Boundaries lead to better behavior and clear expectations for both parents and kids. As much as they throw tantrums, whine or cry, kids want boundaries—and parents intentional enough to set them. Tell me in the comments: How do you struggle with teaching children boundaries? Why do you think kids want boundaries? Couldn’t agree with you more Nina! For me it’s sometimes hard to be consistent in setting boundaries because I’m tired or simply don’t want to deal with it. So, I consent which is wrong. I do explain to my kids why I’m saying no to something in a nice tone in order for them to understand and not think I’m mad at them. 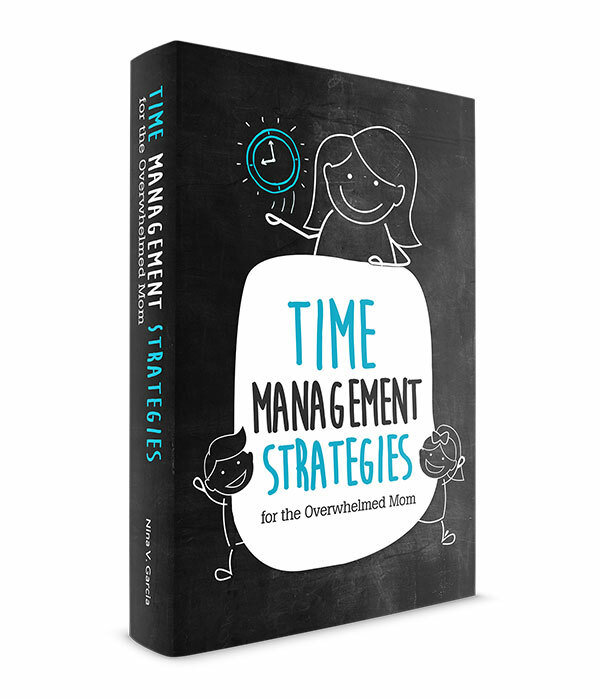 Giving kids a timeframe is a great idea and I try to do it often, instead of just saying “no”. Great tips!